The Broken Blue Line is the second Mike Turner thriller by Connie Dial. It’s a decent procedural follow-up although it pales in comparison to Internal Affairs which provided a riveting glimpse, both expansive and specific, into what police officers might be going through on a daily, weekly and yearly basis in their careers. What most appealed to me in her debut is that Dial delved into the feminist aspect of the police force and the LAPD with “The Mafia,” a group of highly ranked women who meet weekly. Few women make it that far up in the ranks on any police force and Dial touched on this often in her debut. Police thrillers are not a genre I seek out to read. However, Dial’s first novel, Internal Affairs, proved so compelling I wanted to read this next one. While I didn’t find The Broken Blue Line to be a page turner that I couldn’t wait to find out what happened in the end, stands on its own and proves entertaining for the most part. In The Broken Blue Line, female police officers remain mostly at the peripheral and those involved are needy [Turner’s on/off again girlfriend Miriam], protective and motherly [Beverly, the mother of a corrupt cop that Turner and his team investigate], or just plain conniving and evil [Helen, an illegal immigrant]. Turner and his rogue group of Internal Affairs investigators become involved in a tangled web of deceit, danger, and greed. Dial does her best to expose the dichotomy between the laziness and red tape of the police force and the hard-working, devoted officers. 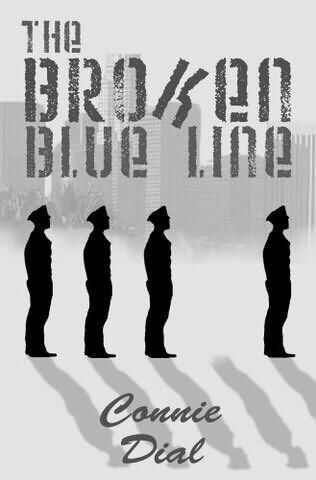 In The Broken Blue Line, Dial succeeds in showing the hypocrisy, the rise to power of those who’ve never even worked a beat and the tireless officers who risk their lives to protect citizens. For this, Dial is to be commended. Her nearly three decades on the LA police force seeps through onto every page: the good, the bad, and the ugly. This entry was posted on May 23, 2010, 14:12 and is filed under Books. You can follow any responses to this entry through RSS 2.0. Both comments and pings are currently closed.